Specialist presentation and public speaking training provider Time to Market has announced the availability of its new centre for presentation training in Fleet, Hampshire. Now open for skills-based training, the contemporary business location boasts a full suite of audio-visual support tools, wireless LAN internet access and comfortable training premises and is only a short walk from the town centre. Access to the motorway network is straightforward via junction 4a of the M3 motorway. Andrew Ivey, Principal Trainer of Time to Market Ltd, said the new location would extend the range of presentation training in Hampshire: “Our clients want prime training locations that are close to them. This new training centre in Fleet is just what we need. You want to give a polished performance, when you give a presentation. Because, you want to exude confidence. You can train to be a confident presenter with presentation training in Fleet. We offer a range of presentation skills training courses: for you, for groups, for full days or half days—available for all abilities. You can train to be a confident presenter in Fleet, so you won’t need to travel that far. Presentation training in Fleet includes full refreshments and lunch during the day’s session, expert help and advice and all the training materials you need. 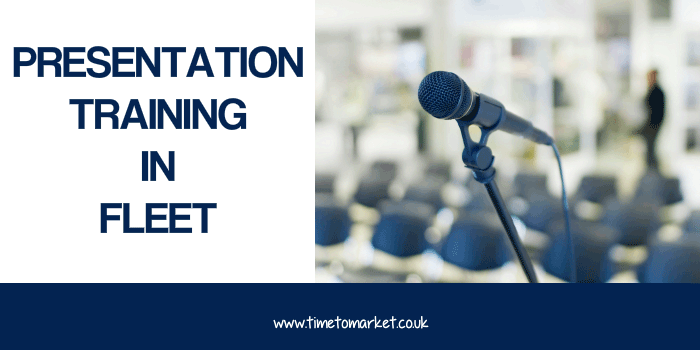 So, to find out how you can become a confident presenter and improve your presentation skills in Fleet, please don’t hesitate to call us or email training@timetomarket.co.uk. 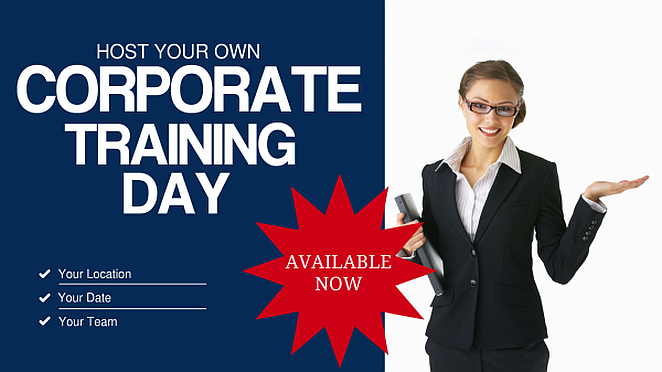 We run corporate presentation courses for participants exclusively from one organisation, on-site or off-site. And then we also run all our public training courses off site at our specialist training centres.